Some of the most exhilarating stories of the Kingdom to be found anywhere. The legendary Patrick and Columba appear in company with Judson, Brainerd, Carey and Morrison. 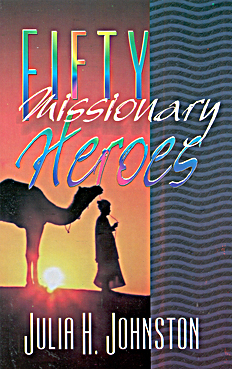 Also lesser-known (but just as great) figures in the missionary “hall of fame:” The slave boy; the largest church in the world (in the 19th century); cannibals; one of the first “bible smugglers,” many more.